When your child is sick..
It’s cold and flu season, and I just wanted to pass along this little diagram to help you decide when you should keep your child home from daycare. Please keep in mind that in our small group, we have some children who are medically fragile and more susceptible to illness. This means that a simple cold could be detrimental to some of our little ones. 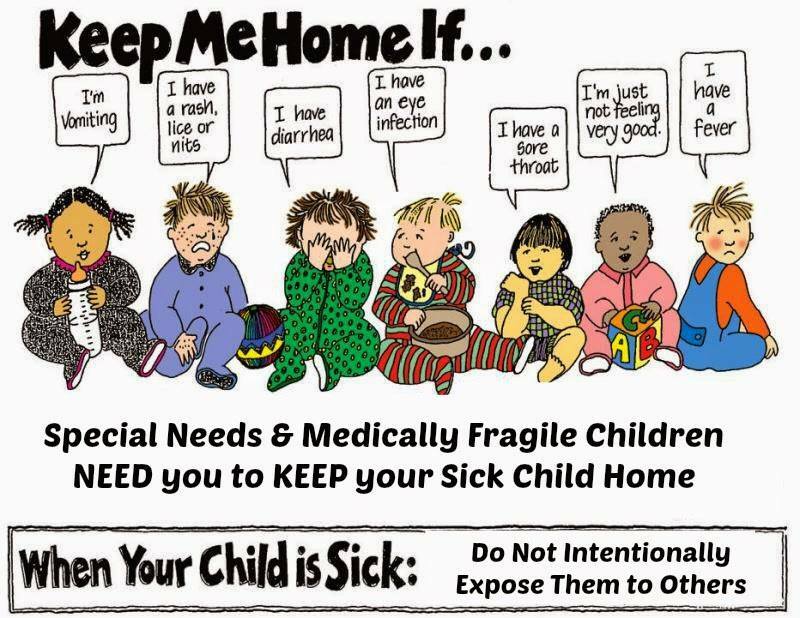 If your child has any of the following symptoms, or if they are not well enough to participate in our daily program, please keep them home.